When I think of Jesus Christ as King it sets a warm loving fire to my imagination for God’s mercy is endless and that is something of a wonder in my heart, mind, and soul. In that I wonder what life for Jesus was really like? I often ask myself the question, ‘Wouldn’t it be awesome to travel back into time to have seen Jesus, to have witnessed His birth, Baptismal, His anointment by Mary, His Ministry… especially when He picked the twelve disciples, His temptations by Satan.’ The moments that matter most in most Christian’s hearts is celebrated with as much religious ferber now as it was then, and that is Holy Week; the seven days preceding his crucifixion and resurrection. I feel closest to God in this time frame as do most Christians because it is here we begin to see Jesus rule over His people, sacrifice everything for His people, and ultimately demonstrate God’s perfect love for His people, all of His people which in this context is everyone alive then to now and that will ever live in sin; for His love saved all of us with His blood. We celebrate Jesus’s arrive into Jerusalem as a victory, a triumph, and His ride into the Holy City marks the beginning of the Kingdom of God. Many scholars argue about the meaning of the colt, donkey, or foal. They try and find purpose behind the acts of Christ by the connections they can make to the gospel. But it is not what Jesus rode or whether or not it was really palm branches that was used to herald His arrival, but the fact our King came in the first place and that He loved us so much that He was willing to enter into the city that He knew was ultimately going to judge then put Him to death for crimes He did not commit. In this way we can begin to see life as Jesus saw it, experience His last week on earth as a mortal man, the Son of God. To have seen Jesus riding into Jerusalem first hand must have been something, or at least for those who where in the know of what was happening. The fact is most people during this period of time were clueless to the real event that was going on because they where blinded by what they thought was happening. To explain this further I have to add that in life we all see events one way when they are happening to us, then see them completely different many years later. But rarely do we ever see the underpinning facts of the event which caused it to happen in the first place in the moment, and if we could see the “WHY” that is driving the event we could have the chance, (the choice), to do something completely different. Again, few people in this period of time understood what was really happening as they could plainly see the “WHY” of Jesus, His mission and ministry, they saw first hand within the moment His ultimate goal and stood by Him until His arrest. Jesus on several occasions revealed this secret to His disciples, and all but one rebuked the idea and questioned the “Why” of His death. They say it was love they felt for Him that made them not want to see Him killed. But Jesus saw this in a completely different way. Judas Iscariot understood it and put the plan into action, as he was the only one strong enough to do so. To write this in this fashion is controversial to say the least, but what drives me to this conclusion is found in the many different texts that had been buried, forgotten, that in their own time was outlawed and destroyed. For in the traditional Bible we have but a sliver of the true history of the events we celebrate. Therefore, we see with clouded eyes, we believe in traditions that come from completely different origins, and we collectively call it Christianity. In part I think that is what drives the truth seekers within the various faiths and sciences to conduct such magnificent research to find the truth in our Biblical history. This journey of seeking, documenting, and exploring is one that even the Catholic Church is involved in today. It is not wrong to try and peace together the truth of Christ, but it is wrong to celebrate and declare that we know things that in reality we truly do not know. In faith we believe that Jesus is the messiah, the King of Heaven and of Earth, but until we find factual evidence will truly know. In this we all are like Thomas who needed to put his finger in the side of Christ, touch his hands and see the wounds. Thomas is every man living today and it is this need to see before we believe that makes our faith stronger and more relevant. I say to you all never ask ‘Who is this?” but rather, ‘I know him who came and saved me.’ For truly God did send His son, and His blood needs no proof, His love needs not the “Thomas Factor” nor does His authority over all of His children need to be proven. It is good to know the facts, but it is better to celebrate the man, savior, son of God who came. 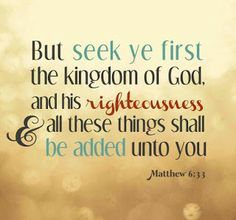 Seek first the Kingdom of God that is rooted deep into your hearts, and reserve your questions until you meet Him face to face. If you enjoyed, “Days of Triumph”, then I invite you to stay in contact with me through the following ways and please do not forget to rate this post below.